If you are of the pitta persuasion, your skin is likely to be sensitive, especially during the summer. We’ll use a sugar scrub today. Sweetness pacifies pitta and is less abrasive than salt on the skin. Coconut is a great cooling oil for pitta. 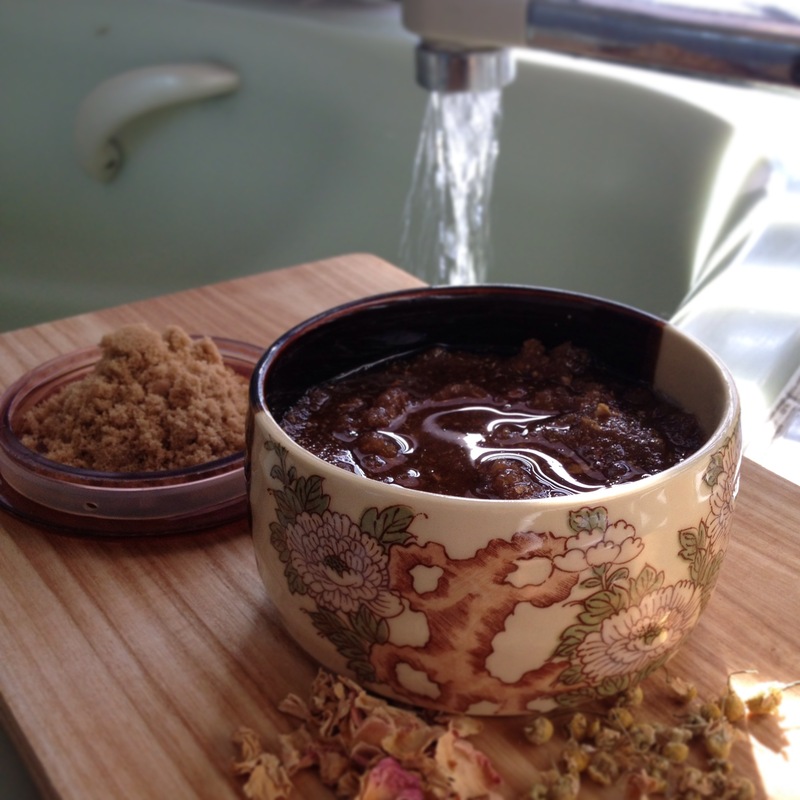 I chose chamomile flowers, rose petals, and jasmine oil for this scrub. These are all cooling and calming for the skin. Mix the brown sugar and coconut oil together. Blend the chamomile and rose petals in a food processor, spice grinder, or high-powered blender until you have a fine powder. 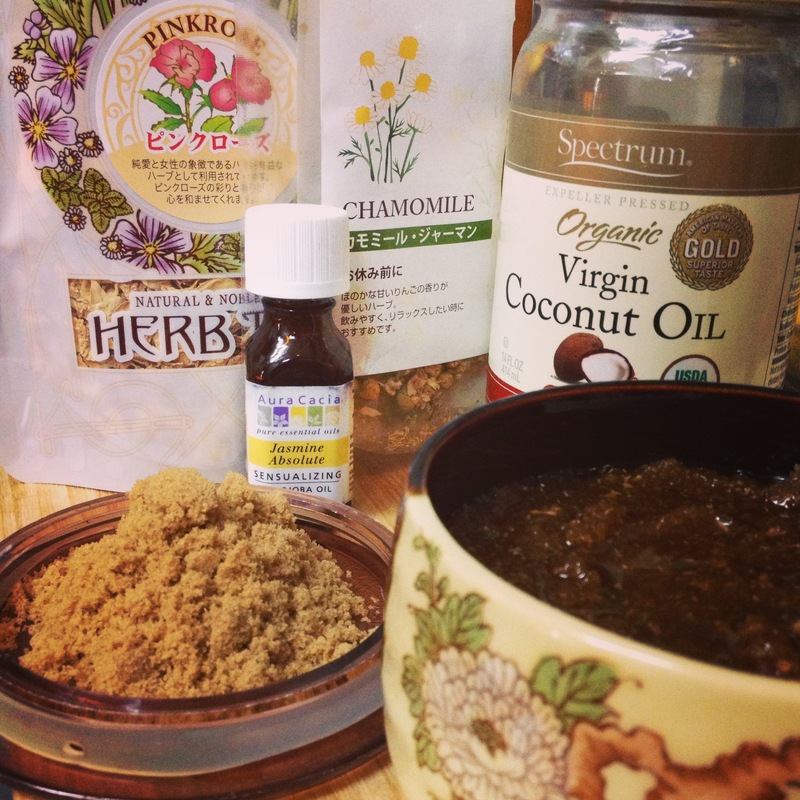 Combine the powder to the brown sugar and coconut oil. Add the jasmine essential oil and stir until well-combined. Store in an air-tight jar for up to 3 months. Vatas, please click here for your scrub. 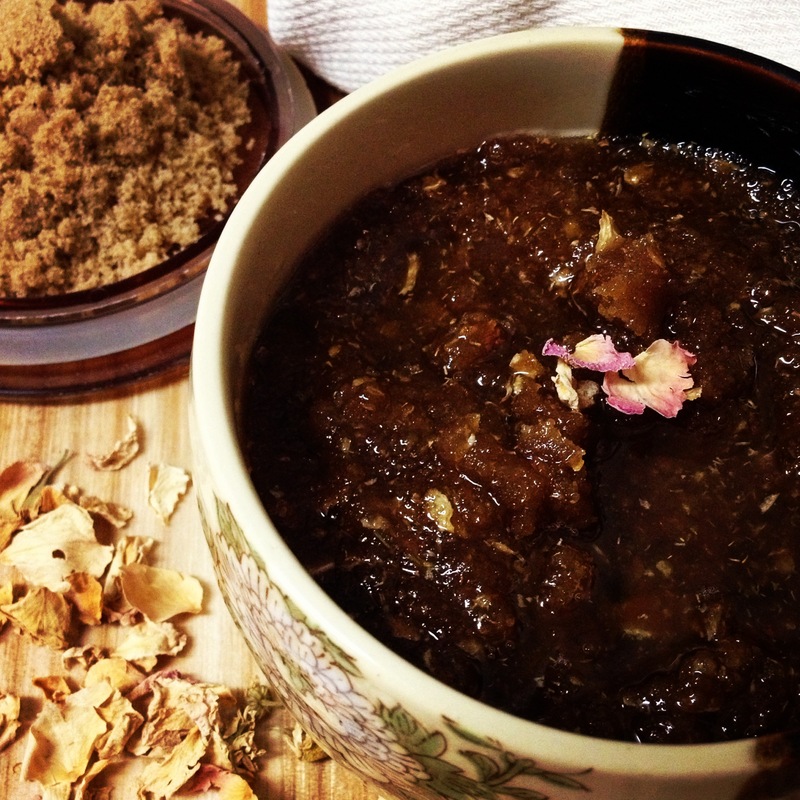 Click here for a kapha scrub. This entry was posted in Ayurveda, Home & Health and tagged chamomile, coconut oil, diy ayurveda scrub, jasmine, naturally diy, pitta, rose.